Restore Calendar from iCloud? Look Here! There are many things that will be planned in advance and put into effect in near future. In case of forgetting an important issue, you can add it to iPhone's calendar schedule. Like statutory holidays, calendars help you keep track of things to do and special days to come and remind you of them in an exact time. Nevertheless, situation is that a sudden data loss can easily take all these to-do schedules away without notice. Happily, it's just a piece of cake to restore calendar from iCloud if you regularly back up data to your iCloud account. Now let's get started to see how it is. 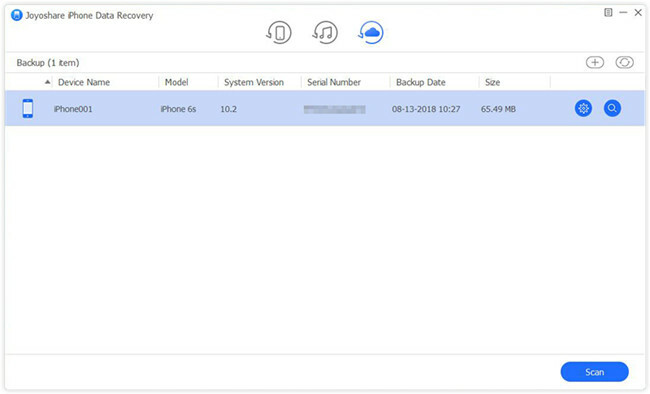 iCloud offers possibility to create a backup file for iPhone calendars and reminders together, with which you can handily get the entire data restored to find deleted/lost calendars within 30 days. Step 4: Confirm one iCloud backup and click the "Restore" button at its right side. Note: Useful as it is, it has drawbacks that cannot be ignored as well. Explicitly, scheduled plans added to calendars from the data of last iCloud data will be removed. Meanwhile, all sharing info will be stripped and you also have no access to download what you need only. 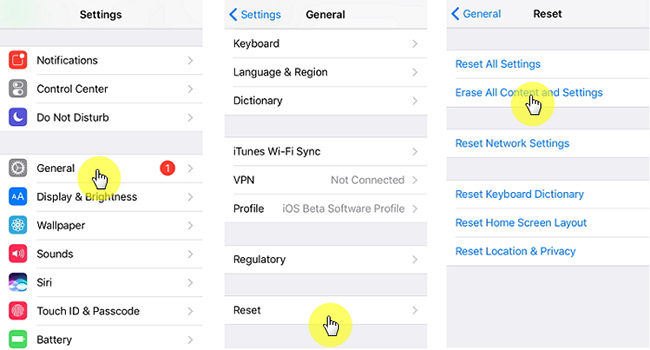 On the condition that the "iCloud Backup" option is enabled on iPhone settings before calendar loss, you are allowed to restore data from iCloud by following all steps below. However, compared to the first method, this one is more risky as you have to erase all contents and settings from your iPhone. Step 3: Select one iCloud backup to recover. Keep network connection until recovery process ends. To recover iPhone calendars without reminders as well as other contents from iCloud backup, which solution you are supposed to use? The most secure way is to adopt a iCloud backup extractor, which has ability to fetch needed data types from selected backup without overwriting existing files saved on iPhone. To accomplish this job effectively, here Joyoshare iPhone Data Recovery is recommended. It empowers you to preview scanned results in real time and selectively get desired items back before recovery. Other than that, it performs well in what it does, allowing you to recover up to 20+ types of iOS data, including calendars, photos, notes, Kik/Viber/WhatsApp messages, reminders, call history, etc. from iCloud and iTunes backup or from iOS device directly. Essentially, it's even compatible with the latest iOS 12. 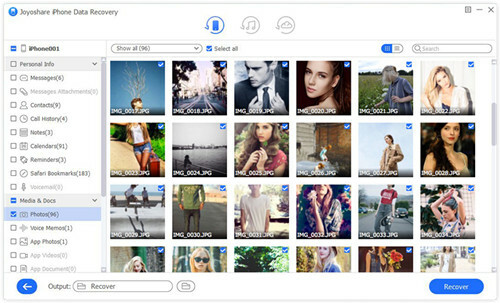 Go ahead to Joyoshare official website to download Joyoshare iPhone Data Recovery. Keep it launched and choose "Recover from iCloud" mode from its top menu bar. 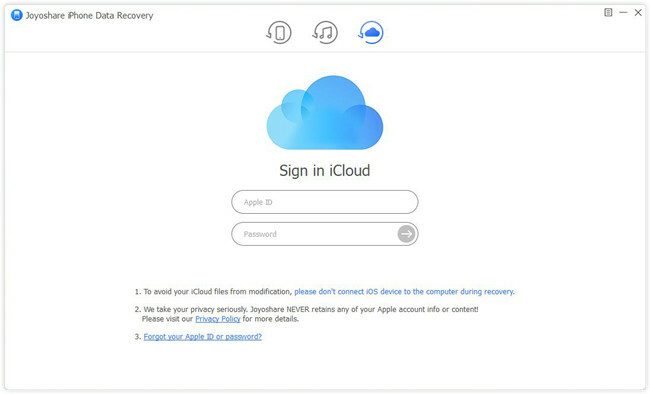 You will be required to sign in iCloud account, but no privacy and contents will be recorded by this program. After entered your iCloud account successfully, all created iCloud backups will be displayed orderly. 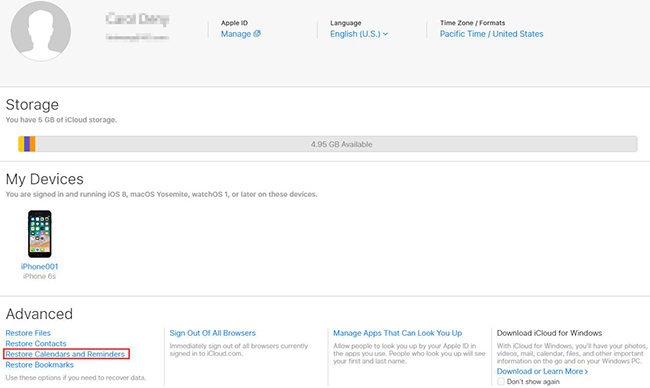 Pick up the most relevant one referring to the backup date, device model, etc. Download it with a simple "Download" button. Having ticked needed data types, you can go to click "Scan" button at the right bottom. 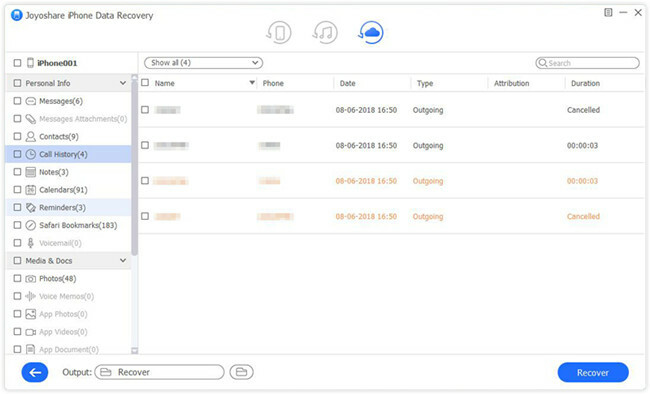 When Joyoshare iPhone Data Recovery completes scanning files, data from "Calendars & Reminders", "Photos", and more categories will be shown in details. Go forward to preview them one by one in the way you like and hit "Recover" button to export to computer.